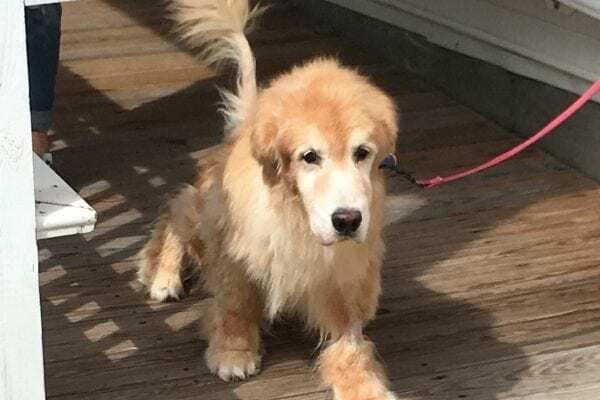 - Yankee Golden Retriever Rescue, Inc.
Sophie was rescued from a shelter in Turkey after the puppy mill where she lived was shut down by the government. Little did Sophie know that this was the first step in a journey of almost 5,000 miles to a new life in the United States. Sophie arrived in November and came out of her crate at the airport as sweet and happy as could be. At Riverview, she amazed everyone with her vibrant personality and her joyful nature. Once Sophie was ready, she was on her way to live with repeat adopters in the White Mountains of New Hampshire. Sophie’s adopters have loved showing her what it means to be a true part of a family, something Sophie had never known in her 7 years. Sophie now snoozes on the couch with Dad watching TV (though if there is an animal on the screen she must investigate). She loves to go for walks in the beautiful woods, and most of all just loves to be included in every activity. The first day Sophie played in the snow, she did “zoomies” which made everyone laugh. She has lots of toys, lots of friends, and most of all lots of love to make up for her troubled past. Her adopters cannot believe the happiness this sweet girl has brought to their home! Please support our efforts to help as many of the Turkish Goldens as we can by bringing them to the United States and finding them loving homes. These dogs have the sweet and loving nature of their breed. Most started out as family pets and then were either brought to shelters or abandoned on the street or in the forest. Lacking survival skills and the ability to compete with other dogs for food, most don’t reach old age. 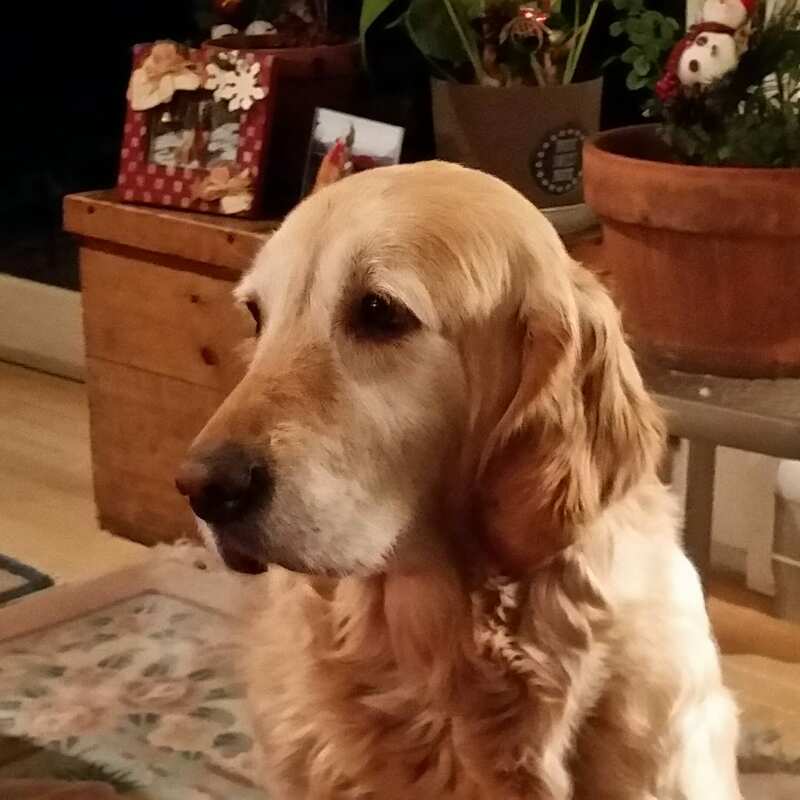 Please donate so we can give more Goldens like Sophie the type of home they all deserve.